Charles Watson of injixo looks at how to determine the best method to cover staffing needs for a few weeks or several months. Before you actually allocate staff against demand, it’s important to think about your overall staffing strategy. 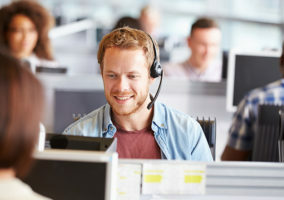 In some contact centres, it’s all about the customer and it’s OK to overstaff and be able to handle spikes in call volume, handle time or shrinkage. In other operations, workforce management is the key tool to managing the finance, and staffing has to be efficient and tight. A smaller number of call centres focus on the frontline agent first. In these cases, the staffing is generally similar to the customer-focused ones, where you overstaff and take some risk on costs. Find out where your company’s priorities are, and adjust your outcomes accordingly, to ensure that you’re not only delivering the staffing requirements needed, but you’re doing it in a way that’s supporting your company’s mission. To excel in this area, you need more than just a calculator. With that in mind, design what percentage of your entire staff should be permanent (or fixed) staff. The best starting place is to look at the smallest number of FTE you need across the year. In the above table, your lowest staffing point is 201. Taking this as a baseline, you know that you’ll need at least 201 agents every month. This is the minimum number of permanent FTE you carry. Given the above numbers, some centres without a flexible workforce strategy will usually staff closer to 275 or 300 to ensure they can hit the peaks (in this case: in fall and winter season). However, doing this runs the risk that you are overstaffed and run high idle times in the lean months (in this case: in spring and summer season). But this can drive unnecessary costs and an inconsistent level of workload for agents across the year. Therefore, knowing your actual baseline of permanent staff can be helpful to scale up and down and adapt to seasonal fluctuations. Once you’ve established your fixed headcount need, it’s time to start thinking about flexibility options to close the remaining staffing requirement. This is an area where outsourcers come in very handy (and outsourcers aren’t all in low-cost regions… you can hire outsourcers in just about any market for flexibility). Additional options are seasonal workers, temps, and part-time workers. Let’s be flexible! As you determine the mix of staff, consider your flexibility options. Some flexibility options are part of the staffing type addressed above (e.g. outsourcers). Other flexibility options are actions you can take with your own contact centre employees to adjust the need. Two of the most common methods are VTO (unpaid Voluntary Time Off) and Overtime. These levers allow you to flex up or down a certain percentage to cover variances from month to month. 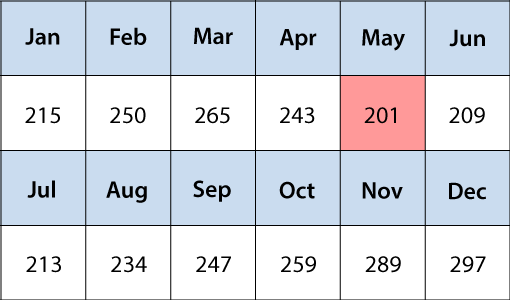 In the example above, you need 289 and 298 in November and December. Overtime is a great way to cover this short-term need without adding staff. Looking at historical overtime acceptance rates will help you determine what to assume here. If you’ve had 5% overtime in those months for the past 3 years, you can probably assume you can get 5% again. Considering that in your staffing requirement calculation reduces the number of staff you have to solve for by that amount. The same process applies to VTO in the slower months. Keep in mind that these are the same levers you’ll pull for spikes or decreases in contact volume against the plan. So the more you rely on this as part of your base staffing, the less you have to accommodate variances. Having a look at your historical accuracy in forecasting may be of help here as well. If you have a highly accurate forecast, you can assume more of this into your base plan. If the forecast is inaccurate, or your industry is volatile, then you may have to save more of this overtime buffer to just manage that. Yet, VTO and overtime aren’t the only big levers. Depending on how your call centre queues are split, you can have agents shift call types, or split their days across multiple call types. If January is characterised by a peak for one call type but not for another call type, then agents can be moved over to increase the staffing on the peak queue. Doing this often requires support from training, and may have an impact on quality or handle time since agents are shifting focus from one queue to another. But you should definitely consider exploring how this option could work for you. It’s a great way not only to bring more flexibility into your staffing approach, but also to give agents an opportunity to take new call types and expand their skills on multiple service lines. OK, now that we’ve covered some strategic considerations, let’s build a real staffing plan/schedule. The first step in staffing the plan is understanding the gaps from the current forecast staff and the actual staffing need. This was covered in a previous insight on how to master workforce forecasting. Back to our example, I’ve added in the projected actual staff against our demand/actual staffing requirement. In this case, we are starting the year at 245 agents, and we expect to lose 2 every month to attrition. Based on the scenario provided in this table, I’d recommend the following set of actions to take each month to make sure that we can deliver on our goal of really closing the staffing gap. We need to try to get 30 FTE in VTO (unpaid Voluntary Time Off) to scale down our staffing actual. If that’s not possible, or we don’t think we can hit that, then we’d look to bring more shrinkage into January. For instance, when looking at staffing levels in February, we see that in this month our contact centre is slightly understaffed. If there is any training planned for February that can be brought into January, we have an opportunity to both reduce the February understaffing while working to solve for the January overstaffing. Simple, right? Even though February is understaffed, it’s not understaffed by much on a percentage basis… in fact it’s less than 3%. This is likely smaller than the forecast accuracy expectation, which means that I wouldn’t take any drastic measures to solve this staff gap – consider trade-offs here. You may very well not actually need the 250 agents required. I would consider an expected 7 FTE of overtime to close the gap on paper, but only pull the trigger on the overtime if you see higher volumes coming in on plan. 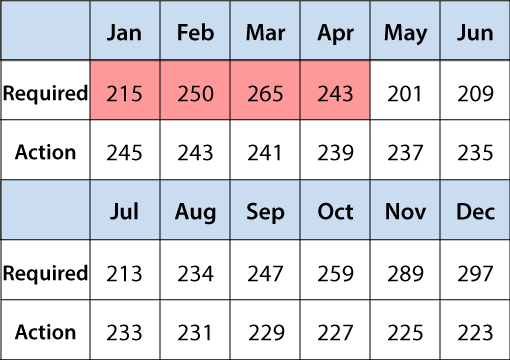 If you look at March in isolation, it gets you thinking about adding a class of new hires, because your deficit is 24 FTE. But if you look to the next several months, the requirements go down and this will leave you heavily overstaffed. 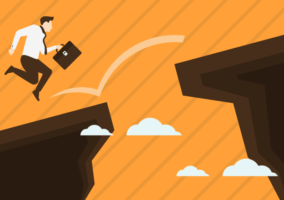 The gap of 24 can be translated into 9% of your staffing requirement, which may be way more than you would actually be able to balance by just allocating overtime. The best options here are to try to eliminate some of the demand by moving shrinkage out of the month, identifying opportunities to move agents from another queue into this one for the month (they can actually start in February and help with a little bit of that gap), and plotting in expected overtime to cover the balance. As you’re looking ahead, moving more PTO (Paid Time Off) from March into May and June isn’t a bad idea. April is understaffed by 4 FTE (1.6%). I wouldn’t worry about this month – full stop. I’m going to cover all three of these months together, because they are all similarly overstaffed and are characterised by the lowest staffing requirements of the year. You want to take action here. It’s easy to just look at these months and think ‘OK, we’ll be good for service level’. But because we aim to excel in all we do, that isn’t good enough! We’re going to make this even better. Given the overstaffing, you have an opportunity to allow more training or other activities that help make your agents better at what they do. This is a great opportunity to invest in your employees so they can further develop or improve their skills and thus are sharp for the peak coming up later in the year. Also, increase shrinkage here during these months. You can also move shrinkage from other months as we showed earlier to help ease pressure on other months. August is within 1.2% of requirement, don’t waste any of your time here, trust me. OK, now things are picking up as we get into the peak season for this business. Both of these months are understaffed and the requirements only go up in November and December. So this is where you really want a class of new hires. But keep in mind, every business is different in terms of how many trainees they can handle at a time. A common class size of new hires is 20, which means you’d add one class of 20 FTE to start in September. Then you’d adjust the staffing with overtime and VTO to fine-tune your actuals. Note: Always expect higher than average handle time with new hires. So if you have 20 new hires starting in September, they likely won’t be fully productive in that month. If their handle time is double that of a tenured agent, then they will only produce the result of 10 FTE. Look at the historical learning curve for new hires to layer in the effect on handle time. You may actually need these agents to start taking calls in August, so they bring up their efficiency to the levels needed for September. This is it! Peak season for our pretend contact centre here and time for us to shine for our customers. Most businesses have a seasonal peak and it means more than just higher call volume. It actually represents the time your customers need you the most! It’s also the time that many contact centres are understaffed, so your customers spend a lot of time waiting in queue. We don’t want that. So let’s solve this. First of all, imagine you already have 20 agents from your last hiring class. You likely need another 20 to get yourself within overtime range. Look at your learning curves and see if you need to bring them in early. It potentially makes most sense to bring in 40 FTE in September and VTO your excess staffing in September and October. If you haven’t already, you should zero-out your shrinkage for November and December. 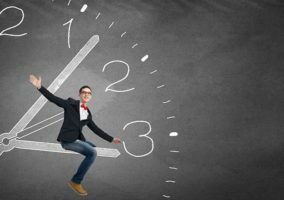 While you may have to have vacation time (it’s not reasonable to expect agents to go two months without vacation time – in fact, this will likely lead to increased absenteeism), you want to take everything else out that you can. This means no training and very limited coaching time (after all, this is exactly why we coached them Jan to Oct – this is the time to execute). Dare to be aggressive here. It may sound harsh, but the intent is to be there for your customers when they need you. If you consider this across the year, then you can get the added offline time needed earlier in the year when things aren’t so crazy. Now That You Have a Plan, What’s Next? A best practice is to meet with your Recruiting and Training department at least every month. Staffing requirement will continually change as you see actual data and reforecast. There will always be constraints to the number of people you can hire and train each month, and it’s important that workforce management is always up to date on this topic. For Recruiting, it may be the number of recruiters they can have in production recruiting or the number of qualified candidates available in the market in a given month. For Training, it may be the number of trainers they have to train or the number of available training rooms. And training rooms are often used for recurring training and not always available for new hires. 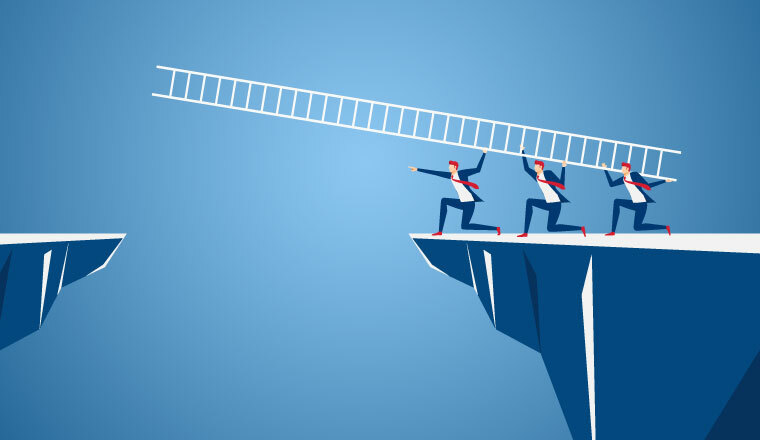 Despite these two hints, there are a couple of other things that you can do to make sure that you successfully execute your plan and deliver on service level goals. One important area here is real-time management.